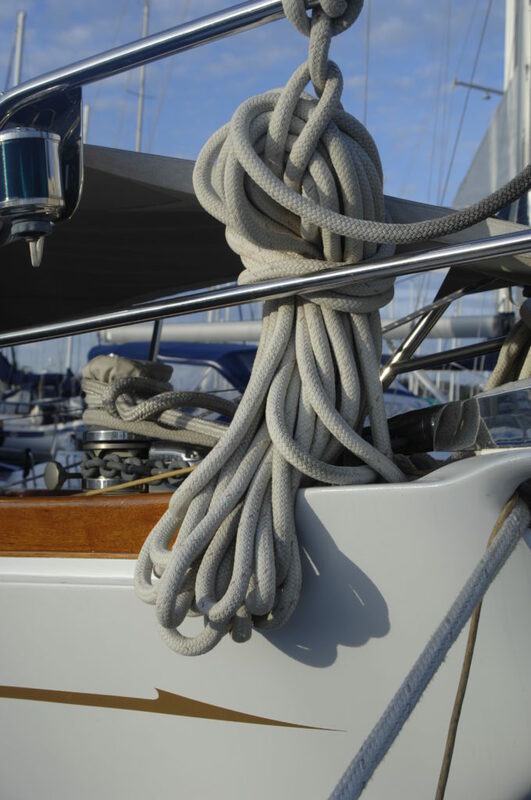 Perform some quick and simple checks for a carefree balance of the boating season. Whether a boat gets used daily, weekly or only on occasion, it deserves a little midseason TLC. In general, this involves simply eyeballing the various systems and making sure that all are shipshape. Failures are usually the result of incremental problems that can be spotted well before they cause downtime. This is why it’s so important to spend a day inspecting belts, hoses, batteries, plumbing, wiring, filters, accessories, safety equipment, etc., during the season. -Battery. All flood-type batteries should be topped off with distilled water. Use a hydrometer to check wet-cell batteries’ condition. Connections need to be tight and free of corrosion. Inspect cables for cracks in the insulation. -Belts. Check all belts and ensure they are crack free and have the proper tension. -Bilge pump. Make sure the bilge pump(s) is in good working order. Remove any debris that may have accumulated around the base. Also ensure the auto function is working properly. -Bilge. Clean it so leaks can be spotted more easily, which keeps oily water from going overboard. -Cleaning. Wash and wax the boat. Keep an eye out for loose or missing caulk and bedding compound, loose or missing fasteners, torn cushions, and damaged gelcoat and brightwork. -Coolant. Check the level and the hoses in the system. The hoses should be supple and neither spongy nor hard. Make sure all hose clamps are tight and in good condition. Look for discoloration that indicates weeping connections at the hose flanges and around pump impeller covers. Elevated temperature readings could mean a problem with the water pump impeller or the pressure cap, so check them for wear. -Diver. Now is a good time to have a diver inspect and clean the hull and running gear. Also replace any zincs that are more than half gone. Check the prop(s) for damage. Clear any debris from through-hulls. -Dock lines. Check all lines for cuts and wear. If the lines are stiff, soak them in fresh water with mild detergent and lay them out to dry. -Electrical system. All electrical connections should be tight and free of corrosion. Spray them with a moisture-displacement lube formulated for use on electrical connections. -Filters. Drain any accumulated water from the fuel/water separator bowl. Change filter elements if necessary. -Fire extinguishers. Ensure extinguishers are still in a proper state of charge and not out of date. -Generator. Oil levels, belts and fuel filters should be checked. If the generator has its own sea strainer, inspect and clean it. -Lights. Make sure all navigational lights are working. A shot of moisture-displacing lube in the socket is good preventative maintenance. -Lube oil. Now may be the time for a change. At the very least, check the oil level. At the same time check hydraulic fluid levels in steering and trim tab reservoirs and the transmission’s oil level. -Safety gear. Check PFDs, signaling devices, the first-aid kit, the life raft, the EPIRP and the fume detectors. Also check the anchor and rode. -Shore cords. Spray metal prongs and contacts with moisture-displacing lubricant. Inspect cords for cuts and abraded areas. Fender cleaner works well to clean any dirty cords. -Spare parts. Make sure all the necessary spares are still aboard. -Stuffing boxes. Inspect stuffing box(es) to ensure that the drip rate is proper. Adjust the packing nut if necessary. Make sure there is extra packing on board. -Through-hull fittings. Check for signs of weeping, corrosion and cracks. Seacocks should work freely and without binding. -Tools. Ensure all the tools are in working order and that everything one might need is aboard. -Turbocharger. Inspect the unit by removing the inlet air cleaner, but carefully keep any dirt from entering. Pin the turbine by hand. It should spin freely and come to a smooth stop. Also, check for play in the assembly by grabbing the blade and rocking the fan back and forth. -Windlass. Ensure the switches are in working order and lubricate the unit in accordance with the owner’s manual.